What to do in Galicia from July 30 to August 5? This week ends the month of July and we start August with a lot of force: with a lot of special proposals so you can take advantage of Galicia in your own way, at your own pace and, most importantly, enjoying this holiday with all the senses. This week you will have a hard time deciding on one of the many proposals we make for you, although, you can always go to more than one! 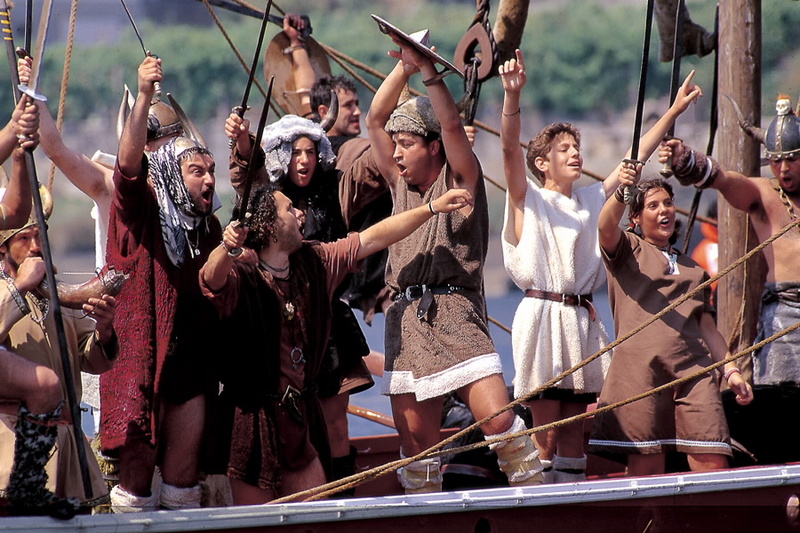 August 1 to 5 – Cambados, Pontevedra. 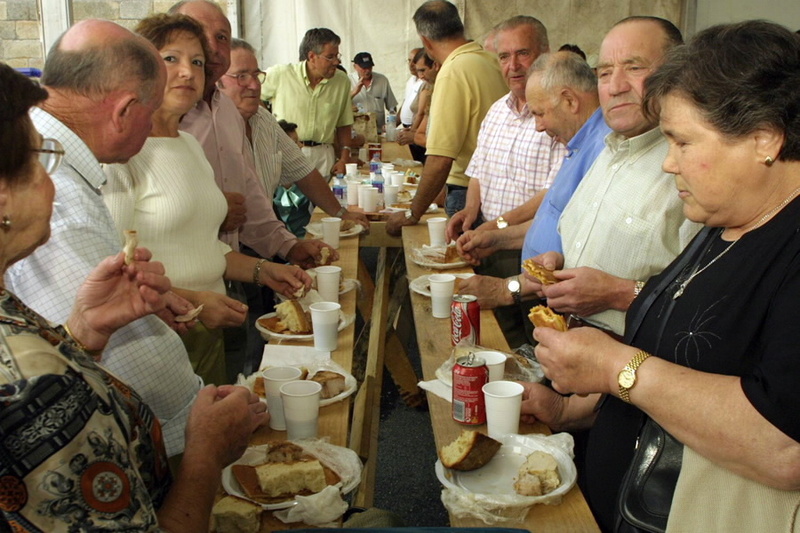 One of the most deeply rooted festivals of the Galician summer arrives. As every year, in the street of A Calzada the booths of the warehouses of the D.O. Rías Baixas, where you can taste their wines and the food they have to accompany them. There will be musical shows, pyrotechnics, exhibitions, sports competitions, courses, technical conferences and wine workshops. Are you going to miss it? 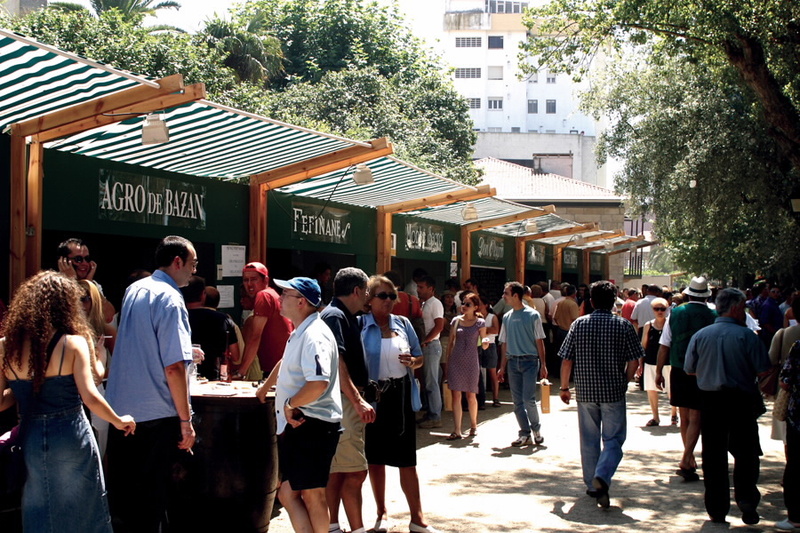 Wednesday, August 1 – Cabana de Bergantiños, A Coruña. This festival focuses on the belief that the waters emanating from a fountain in the vicinity of Cabana de Bergantiños cure warts. The party includes a ritual in which the participants approach this fountain to get wet with a handkerchief. The handkerchief should be left in the fountain, and according to the legend, the warts will be cured once the cloths dry. Like all good Galician Romería, it will have performances by orchestras and an interesting playful section. You dare? Music festival, craft shows, painting exhibitions, sculpture, photography, pottery, children’s drawings, spaces for poetry, narrative, book fair… If you like creativity, you’re in luck! Friday, August 3 – Laro, Silleda, Pontevedra. Multitude of tortilla rations with a thousand varieties: cod, peppers, chorizo, meat, prawns … and wine Is there a better combination? 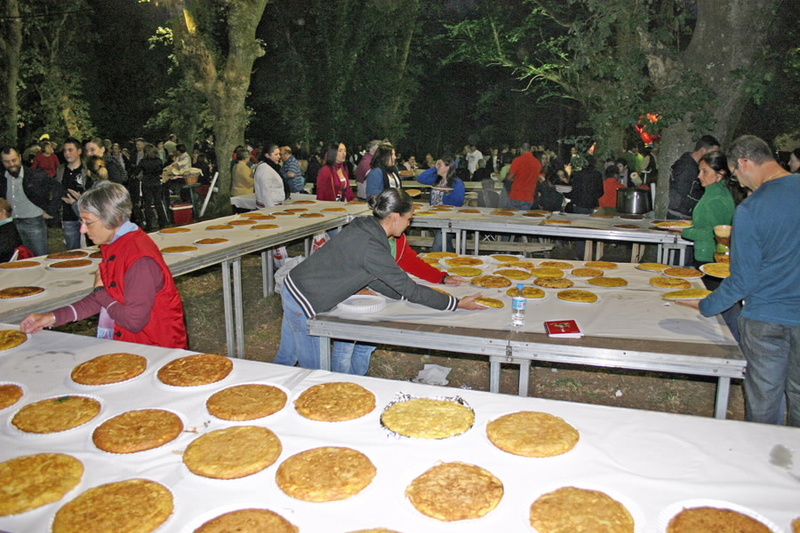 Few gastronomic festivals in Galicia reach the figures of attendees registered by Romaría da Tortilla de Laro. The organization has buses to Laro from Silleda, A Bandeira and Lalín. 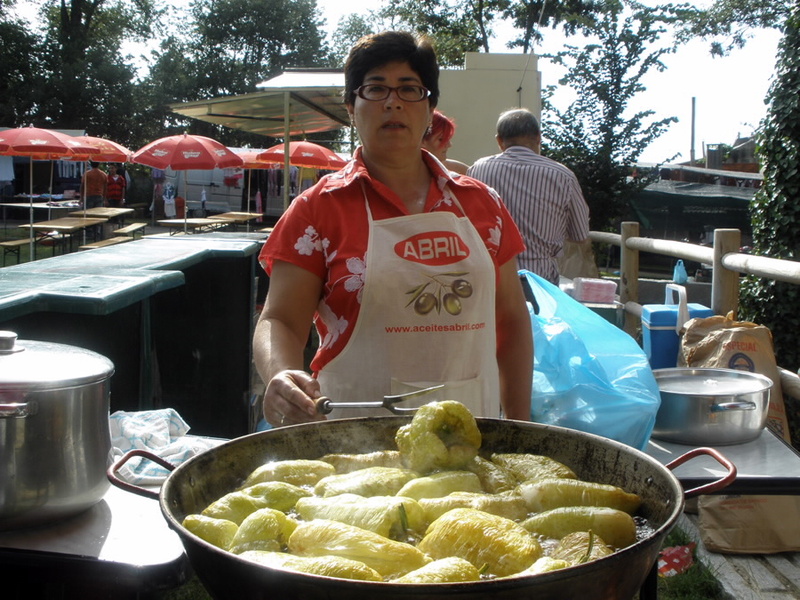 August 3 to 4 – Barreiros, Lugo. 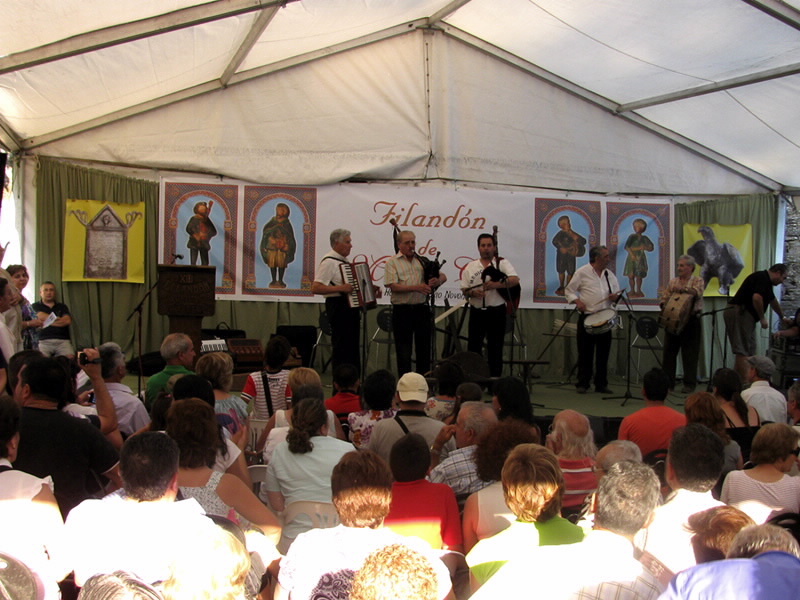 The parish of San Miguel de Reinante gathers dance and folk music groups from Galicia during these days to celebrate the International Folk Festival of Emigrant. August 3 to 5 – A Arnoia, Ourense. 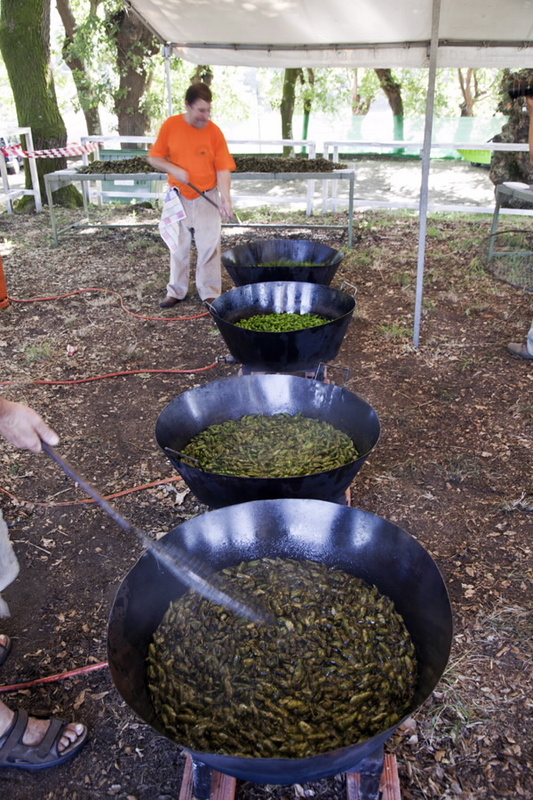 From Thursday night there will be festivals, concerts and tastings, but the big party is Sunday August 5, when more than four thousand kilos of peppers will be served, fried, stuffed or in tortilla, all accompanied by the exquisite O Ribeiro wines. The place is equipped with tables, bars, exhibition stands and all kinds of services, from attractions and barracks for children to a large parking lot. Do not miss the procession and the offering of local fruits. August 4 to 5 – Burela, Lugo. Gastronomic day in sight! And never better said because Burela is a leading port in the capture of the bonito of the North. 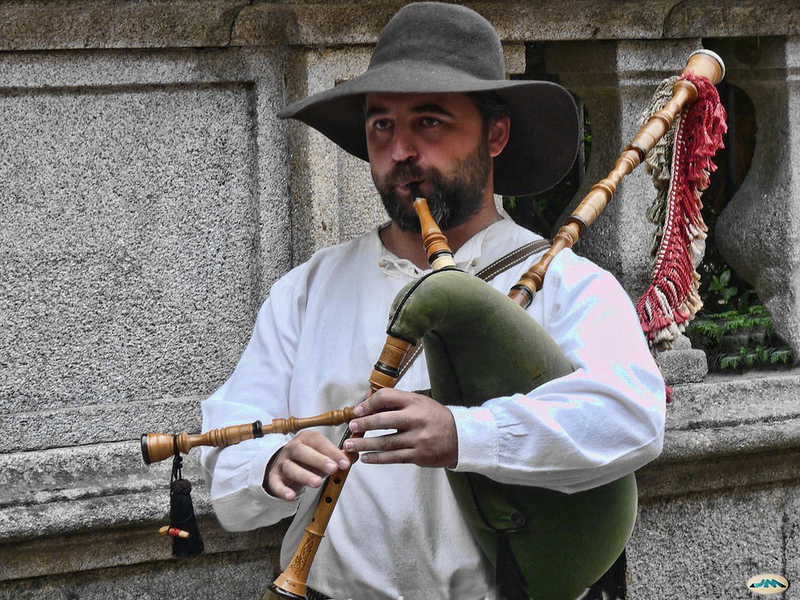 The tasting, enlivened by the music of bagpipes, takes place in a tent installed on the dock and, in parallel, in the network building, very interesting round tables, screenings and exhibitions on environmental and ecological issues are held. 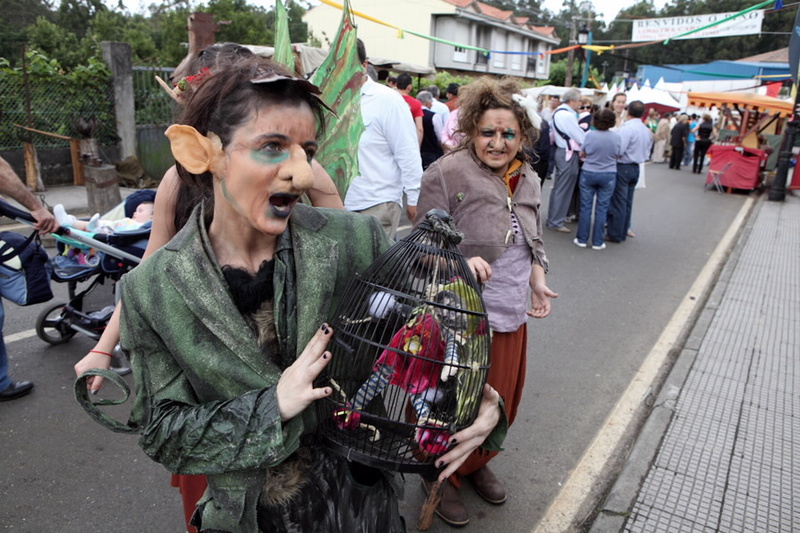 August 3 to 5 – O Pedrouzo Street, Arca, O Pino, A Coruña. In this party, you can en joy stalls selling handicrafts and local gastronomic products. It will also feature representations of ancient Celtic characters, some battling, others dedicated to music and, in addition, demonstrations of crafts and craft workshops. The main course will arrive on Sunday, with the contest-exhibition of beautiful galos piñeiros. 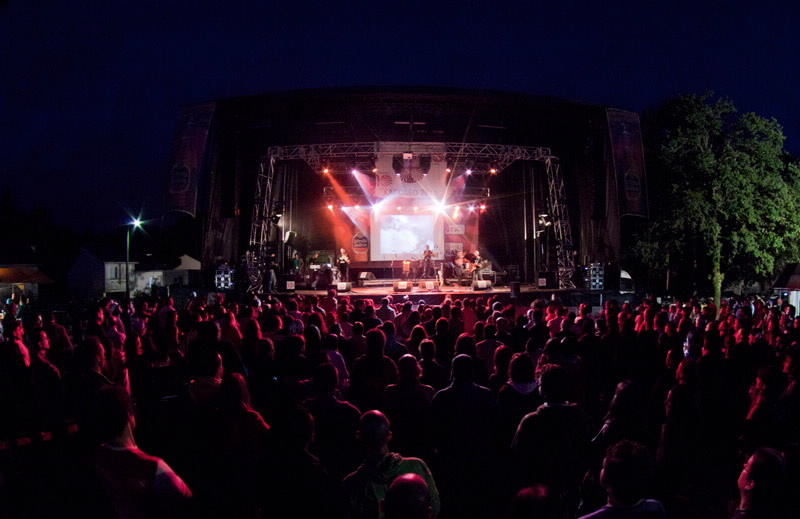 Saturday, August 4 – Padrón, A Coruña. The festival of exaltation of one of our most recognized products arrives: the peppers of Herbón. In addition to tasting peppers, at the party you can also enjoy octopus and churrasco in the tents installed in the shade of the oaks. It is highly recommended to attend the two-kilometer journey that makes adorned tractors between Padrón and Herbón. Sunday, August 5 – Ribadeo, Lugo. 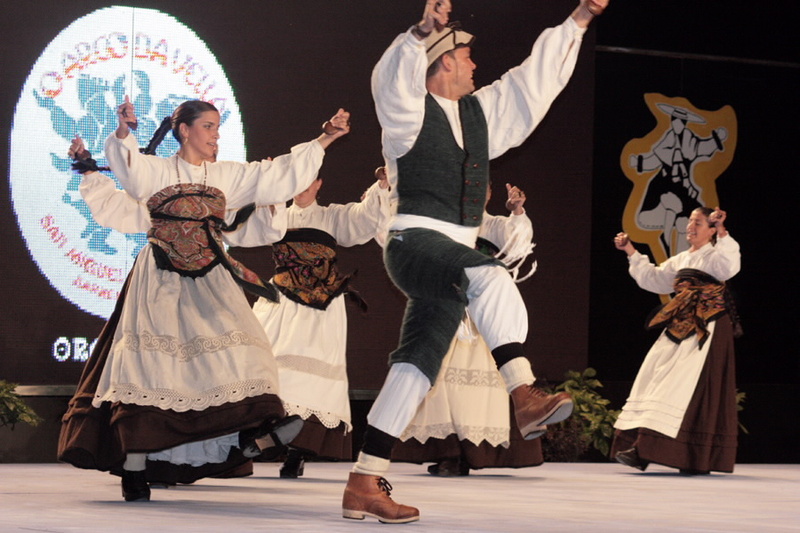 It is a folkloric festival that begins with the celebration of the proclamation and is followed by a folkloric exhibition of the local Association’s schools. Throughout the day the bagpipes will not stop playing while attendees enjoy empanada, tortilla and other delicacies. Sunday, August 5 – Oímbra, Ourense. 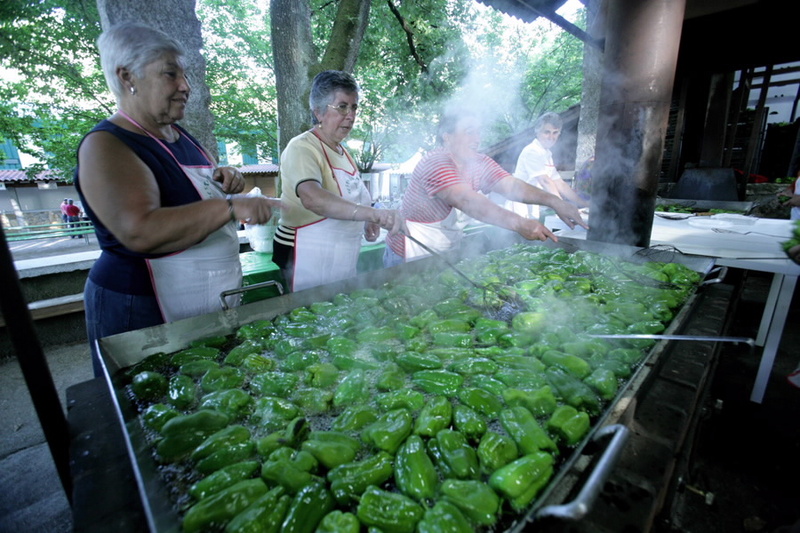 This feira apart from the protagonist, the white pepper of Oímbra, has contests of dishes made with white pepper, free tastings of peppers, exhibitors selling handicrafts, farm products and agricultural tools, folklore performances and even inflatables for children. Sunday, August 5 – Catoira, Pontevedra. This well-known Romaría recovers the role of Catoira as guardian of the treasure of the Cathedral of Santiago recreating a Viking invasion. At the end a picnic is given, after which you can go to the medieval market to get some Galician or artisan gastronomic product. 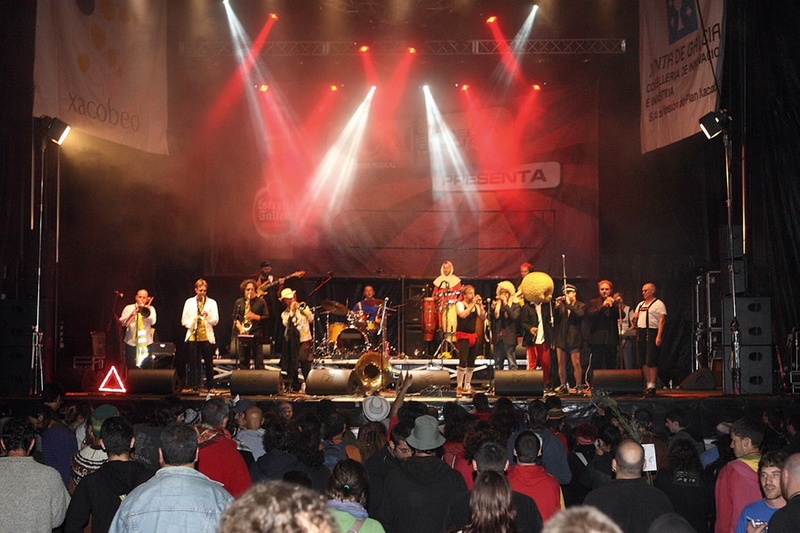 The party will come to an end with the Alameda festival, in the center of the city. In this festival of marked musical character, there will be performances of numerous musicians, popular singers, representations of poets, etc. It will also feature exhibitions of traditional instruments, and in the gastronomic section, tasting wheat bread of Noceda and filloas with honey from the Courel.